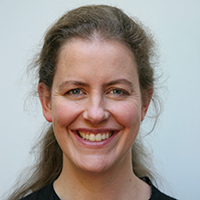 Alice Palmer is a Senior Fellow in the Melbourne Law Masters Program who has combined a career in legal practice and law reform with teaching and training of law students, government representatives and advocates on issues relevant to environmental protection. She was previously a lawyer with the Law Institute of Victoria advising on law reform in the fields of human rights and administrative law, prior to which she was based in the UK as the Director of the Foundation for International Environmental Law and Development (FIELD), a not-for-profit organisation that provided advice and training to governments and public interest organisations on international environmental law and global development issues. Before specialising in public international law, Alice practised as a lawyer with corporate law firms Davis Polk & Wardwell in New York and Arthur Robinson & Hedderwicks in Melbourne and worked on refugee and migration issues in national and international contexts. Alice has taught classes on international environmental law issues at University College London, Kent Law School and the University of Melbourne. She has a Master of Laws degree, specialising in public international law, from New York University, and she obtained her Bachelor degrees in Arts and Laws (with Honours) from the University of Melbourne. Alice is currently undertaking a PhD in international environmental law at the University of Melbourne.